Due to the Consumer Confidence report in Eurozone, euro did not change its positions and the ECB regulators are waiting to make the Eurozone economy stable before they apply changes and new policies. Today EURUSD started with bearish candles below the weekly pivot point. 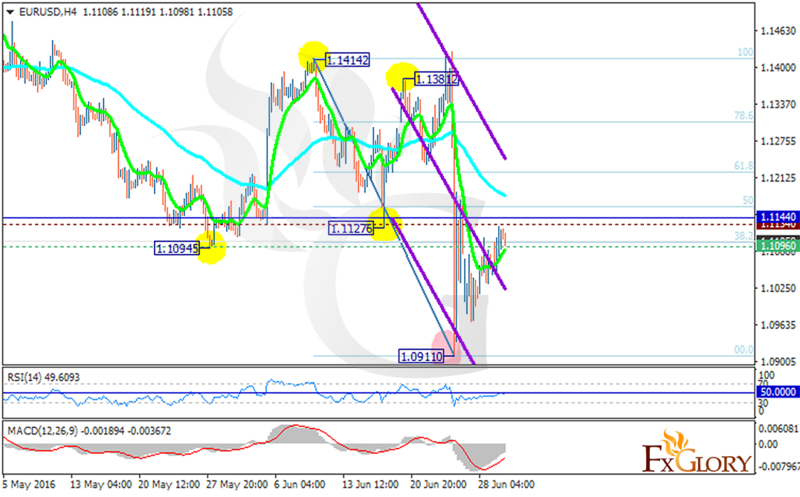 The support rests at 1.10960 with resistance at 1.11340 which both lines are below the weekly pivot point at 1.11440. The EMA of 10 is moving with bullish bias below the EMA of 75. The RSI has been moving below the 50 level for a while and today it is getting closer to crossing it and the MACD indicator is in negative territory as well showing the price decline. The resistance level breakout confirms the bullish trend and will push the pair higher to 61.8 of Fibonacci retracement however as the price is closer to support level it may go lower and reach 1.0821.